So, yesterday, I had some fun remembering some fun times at my favorite place on earth…Disneyland. I haven’t been to the Happiest Place on Earth since two days before Christmas and haven’t been to a Disney theme park since the day after the Walt Disney World Marathon. Yikes! I’m seriously Disney deprived. Now, if you’ve been following this blog, you probably would say that I have been inside of Disneyland not that long ago when I sang with the Disney Employee Choir for Good Morning America’s It’s A Small World Sing a Long. If you said, that you’d be correct. However, I haven’t been to Disneyland as a guest since two days before Christmas. With such a long stretch of time without being in a Disney theme park, what’s a Disney fan to do? Well, I could just go this weekend. I mean, I live 45 minutes from Disneyland. However, it’s been blazingly hot this week in Southern California with three days of 100+ degree heat. So, I don’t think a trip to Disneyland this weekend will do. Thanks to the wonders of You tube, I don’t have to drive down to the parks to visit. I can take a virtual trip to Disneyland instead. It may not be nearly as fun. However, the visuals can really take me back and still bring about the good vibes. So, let’s take a virtual trip to Disneyland today. What do you say? Okay, here we go! I’ve never taken a bus to Disneyland before. But, I love this video to get you in the spirit of a virtual trip to Disneyland! Welcome to Disneyland! Did you know they have a Disneyland Band? I did. However, until I started looking around You Tube, I didn’t know they did a set at the entrance before. Most of us who go to the park, probably stick around the entrance of Disneyland long enough for a picture in front of the Disneyland Main Street Train Station and are on our way up Main Street USA towards what ever attraction we want to hit up first. You’ll also find several characters hanging out around the entrance for picture ops. This video looks like fun and a great way to get into the Disney spirit. Don’t you think? Almost everyone will rush up Main Street U.S.A. on our way to whatever land we want to explore. However, Disneyland does have a few different ways of heading up Main Street U.S.A. This is one of them. The horse-drawn trolley takes you from one end of Main Street to the other. So, you can either start at the Main Street Train Station or at Sleeping Beauty’s Castle. Another way of venturing up Main Street U.S.A. is on the omnibus. Someday, I think I need to experience Main Street U.S.A. in this fashion. It doesn’t take long and is something I’ve never experienced first hand. Pretty cool! Another form of transportation you can take from Main Street U.S.A. is the Disneyland Railroad. This video is shot in the very special car that it not always operational…the Lilly Belle car. You can ask the cast member who is loading the train about how to get into this car or you can ask at City Hall. Walt Disney was a huge fan of trains. So, if you want some of what Walt liked, take a ride on the train. Even if you can’t ride the Lilly Belle, it’s fun to ride around Disneyland in this manner. Or, you can use it to get to the various stops (New Orleans Square, Toontown, and Tomorrowland) without having to walk! Off to the right side as you make your way up Main Street U.S.A., you’ll see the Great Moments with Mr. Lincoln theatre. If you like the Hall of Presidents at the Magic Kingdom or the American Experience show at EPCOT, you absolutely must see this show. Inside the Mr. Lincoln Theatre is not only the Great Moments with Mr. Lincoln show, but the lobby is a great place to hang out on a hot day. They keep the lobby nice and air-conditioned and there is a lot of cool displays. The video above shows a little of what you could see once inside. Keep in mind that you don’t need to see the Great Moments with Mr. Lincoln show to hang out in the lobby. You can come and go as you please. So, the animatronics show isn’t your thing, but you want a nice cool place to chill our for a little bit, I highly recommend hanging out here. Plus, as you will see in the video, there is a seated area where they play The Disneyland Story movie that played in the theatre during the 50th Anniversary Celebration of Disneyland (starting at the 3:41 time code). Across the way is the Disneyland Firehouse. The video above is of the Dapper Dans performing outside of the firehouse. The Dapper Dans perform all up and down Main Street U.S.A. at various points of the day. You really should check them out. In this video, you have one of their entire sets. At around 15 minutes, they end their set with a boy band tribute. This isn’t something that most people will get to experience. However, here is a tour of Walt Disney’s apartment over the fire house. The tour is given by Bob Gurr, Disney Legend and others who also tell some of their stories of their visits to the apartment with Walt Disney himself! Imagine what it would be like if you got to visit Disneyland and see Walt’s apartment. This is just a reminder of what makes Disneyland special. This was Walt’s park. Disneyland is the ONLY Disney theme park where Walt actually walked. If you were lucky enough to get a tour of the apartment, this is what you would experience. I personally like the first video I posted of Walt’s apartment because you get to hear from people who hung out with Walt in the apartment. However, I post this video as well because it’s shorter and what you’d experience if you got one of the tours. Another attraction on Main Street U.S.A. that often gets overlooked is the Main Street Cinema. At the Magic Kingdom, the similar façade is for a store. At Disneyland, they have Mickey Mouse shorts playing. I believe there are 6 screens running simultaneously. As you can see in the video, it’s not a very large space. So, it won’t take up a lot of time if you were to visit. However, it’s indoors and air-conditioned. So, if you need a break from the heat, this is another place that’s good to pop into for a break. Over at Coke Corner, Alice in Wonderland and the Mad Hatter play a game of musical chairs. Okay, the video is a bit long. I probably wouldn’t have stuck around for the entire game of musical chairs. However, what a fun break in the mad dash to various attractions. Also, sometimes Peter Pan and/or Mary Poppins and Bert will make an appearance as part of the game. Also at Coke Corner, you might be there in time to catch a performance by Ragtime Robert. All of this, of course, keeps the theme of an old-time Main Street atmosphere. Mickey’s Soundsational Parade is the current daytime parade that makes its way down Main Street U.S.A. every day. For me, this parade is vastly superior to the one that preceded it. This parade so full of Disney magic! Of course, no day at Disneyland is complete without experiencing the fireworks show. Here is the current fireworks show at Disneyland. I know that the Walt Disney World fans love Wishes at the Magic Kingdom. While I really like that show as well, Remember…Dreams Come True is still my favorite Disney fireworks show. I’m glad that they’ve brought this fireworks show back. It was the fireworks show from the 50th Anniversary celebration of Disneyland. One of the things I LOVE about my Blu-Ray player is being able to stream these You Tube videos on my high-definition television. There are nights, where I’ll choose a Disney fireworks show to stream right before going off to bed. There’s just something magical about watching the fireworks to conclude my day. I’ve focused on Main Street USA in this post because there was so much to look at and see on Main Street alone. I may have to continue this virtual visit through other lands in the near future. Whether you choose to watch one or all of the videos in this post, I think that get that Disney theme park fix in this post. Of course, nothing beats actually being in Disneyland itself! Have a magical weekend! Thanks for posting this. We are going to Disneyland for the first time at the end of Aug. We have been to Disney World more than 40 times. You’re welcome. 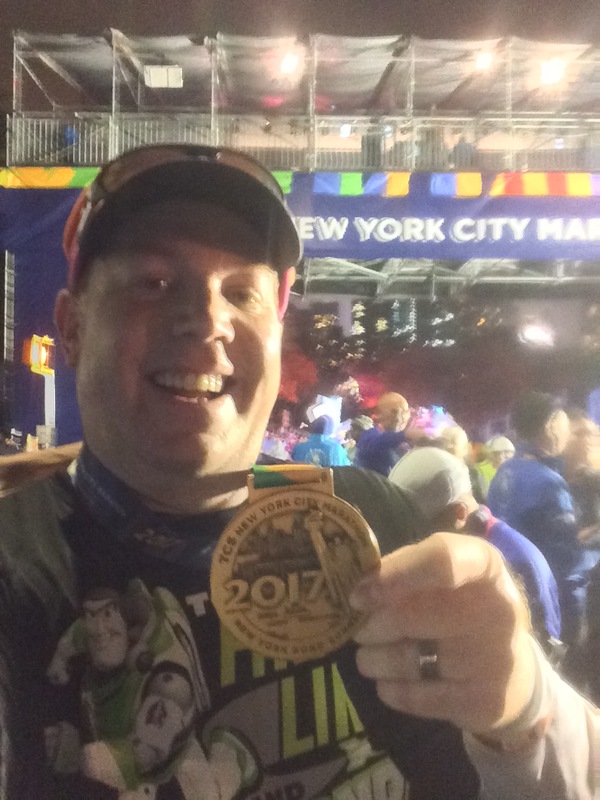 Last year, I posted some tips for people coming to Disneyland for the first time at last year’s Disneyland Half Marathon Weekend. This year, I’m going to do a more updated version. I’ll probably post some tips for planning for the Disneyland Half Marathon Weekend in either the first or second week of June. After all, you can’t make dining reservations until 60 days before you arrive at Disneyland. You probably know that at Disney World, reservations are available farther in advanced. I hope you enjoy your first trip to the original Disney theme park…Walt’s park…aka Disneyland. That’d be awesome. I would love to read that and reblog to my site at doombuggyrunner.com. Thanks! Here’s what I wrote last year. After running in the Disneyland races last year, I’ve got some revising to do. However, if you’re in super planning mode, you can read these three blog posts to get an idea. Keep in mind that planning a Disneyland trip is very different from planning a trip to WDW. Disneyland is my absolute favorite Disney theme park. Here are the blog posts. Feel free to re-blog them if you want to. Otherwise, wait until June and I’ll have a better set of posts. Glad to be of help. By the way, if you’re going to SF, you must visit the Walt Disney Family Museum. It’s amazing! Also, let me know if you’d be interested in visiting the Walt Disney Studios in Burbank while you’re out here (that’s where I work). I’m taking the Thursday before the Disneyland Half off through the weekend. However, I’d be able to get you and your family on the lot and show you around if you’re interested. By the way, here’s a link to my blog post on my visit to the Walt Disney Family Museum. Yes that I one of the main reasons we want to go to SF! Uber planner! Thanks for this post also. I was wanting to research it. Tour of the studios would be awesome. We will have to see if we can make tht happen. How far is it from DL? We are in Anaheim Friday 29th to Tuesday morning 2nd I think it is.